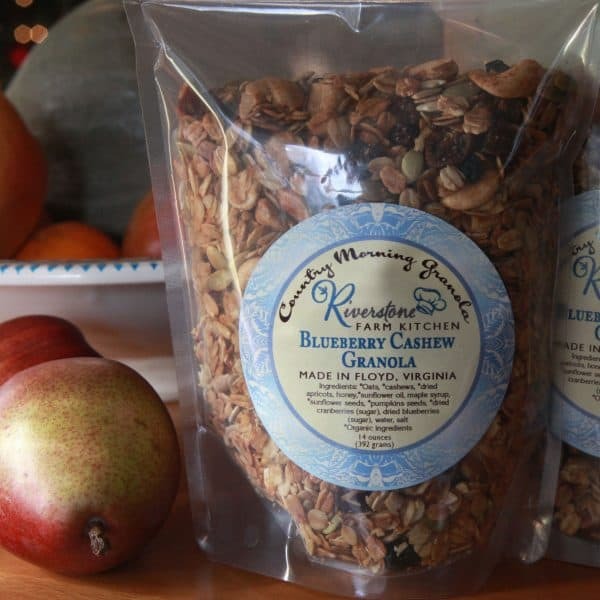 Blueberry Cashew Granola is made with organic oats and sweetened with maple syrup and honey. It is packed with fruit and nuts, including cashews, almonds, dried blueberries, dried apricots, pumpkin seeds and sunnies. Ingredients: * oats, *cashews, *dried apricots, *sunflower oil, honey, maple syrup *sunflower seeds, *pumpkin seeds, *dried cranberries, *dried blueberries, salt.